The original headline, "Arkansas Judge Mauled by Family's Pet Zebra," was pretty good and has a nice rhythm to it, but I thought it was important to be clear that the zebra-owning family was his own. 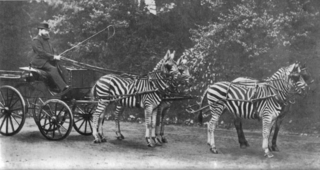 This wasn't just a random zebra attack, it was domestic (animal) violence. Specifically, according to the report, the judge was "attacked Sunday night by a zebra owned by his father," apparently while the judge was visiting the family home where said zebra is kept. It says that the judge "sustained injuries to an eye and an arm," and was still in a Little Rock hospital as of Tuesday, although details on his condition were not available. In fact, few details of any kind are available: "Authorities wouldn't discuss details of the attack—including any explanation for why a family happened to own and maintain a zebra on private property." This report does get the judge's name wrong, though, so it doesn't look like they dug too deeply. Authorities did say that they did not plan to take legal action in response to the incident, which makes sense for a couple of reasons, among them that it's not clear whether it's illegal to own a zebra in Searcy, Arkansas. (Or to "maintain" one—actually, it'd be illegal not to "maintain" one if you owned it.) Although the judge in question serves in Beebe, Arkansas, the report quotes a police spokesman in Searcy, about ten miles up the road on your way to Bald Knob. So I assume that (Searcy, not Bald Knob) is where the attack was perpetrated. It is specifically illegal to keep hogs, cows, "cattle of any kind," or more than six fowl on property within Searcy city limits. The term "cattle" has historically been used very broadly—the OED notes that it derives from "chattel," which just means "property," and that makes sense though I'd never made that connection before. But as the OED also says, in modern use the term is "now usually confined to, or understood of, bovine animals." Partly for that reason, while Searcy's city code could be clearer on this point, I don't think a zebra would qualify as "cattle." For purposes hereof, the term "wild animal" shall mean and include an animal incapable of being completely domesticated and requiring the exercise of art, force or skill to keep it in subjugation and shall specifically include, without limitation, lions, tigers, cougars, panthers, bears, wolves, boa constrictors, and coyotes. So if the zebra is not "incapable of being completely domesticated," it isn't a "wild animal" under the code. It also seems less dangerous than the other listed "wild animals," apart from its apparent tendency to attack judges. Throw in the fact that this zebra is owned by a judge's dad, and the decision not to prosecute makes sense to me. It is also possible, of course, that this zebra was kept outside city limits, and if so then just ignore everything I just said. Update: I am being told by zebra experts—okay, somebody who knows a zookeeper—that zebras are in fact extremely dangerous (at least to zookeepers) and maybe more dangerous than any of the other "wild animals" on the list. I will agree with the first but not the second, having watched the National Geographic Channel long enough to get a pretty good idea of whether lions or zebras are more dangerous. 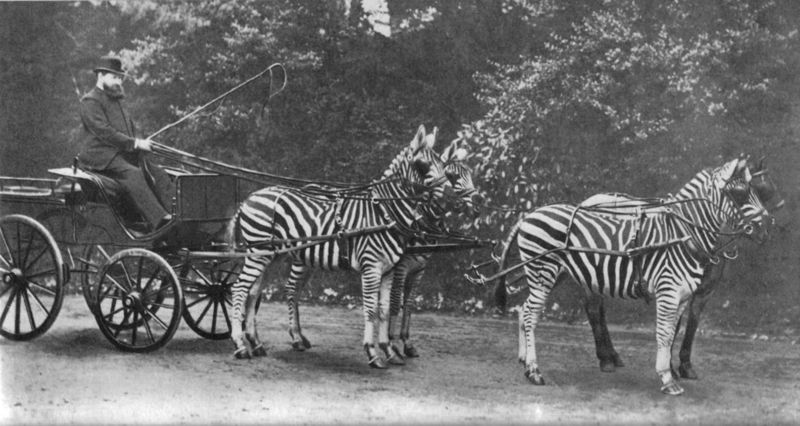 But still, zebras apparently can be pretty nasty. Another reader notes that I am probably confusing "domesticated" with "tamed," and that also makes a lot of sense. You can tame a lion (maybe), but you can't really domesticate them. So I am going to hope two things: (1) that the judge wasn't seriously injured (which I was already hoping) and that his dad keeps his zebra well outside of town.